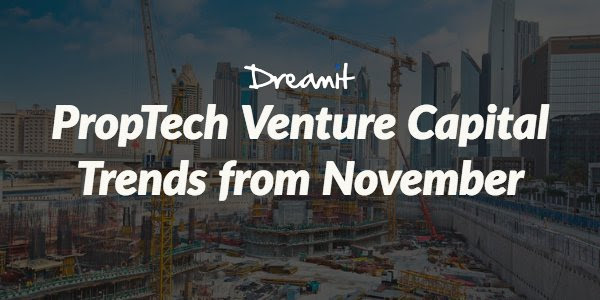 According to real estate industry research firm RE:tech, venture investors deployed over $3.2 billion into real estate tech startups in November. But, the majority of this capital went to just three companies. WeWork raised $3 billion, while Nested and Property Finderraised just over $120 million each. All the other earlier stage real estate tech startups split the remaining $34 million of total funding in November. Jeff Vinik and Bill Gates are betting billions that they can make Tampa a smarter, more connected, more pedestrian-friendly city. Micro-vehicles like electric bikes are poised to significantly reduce America's reliance on personal cars and taxis in urban areas. Coders are building easy-to-use, data-driven tools to empower tenants to take on landlords; the NYT profiles this group, called the Housing Data Coalition. Apartments are getting smaller, but renters are paying more, according to CNBC. Learn how access to public transportation affects residential and commercial real estate prices in sometimes counterintuitive ways. Opportunity Zones could potentially attract $100 billion in investments to distressed areas or could be a tax break for wealthy investors that don't effectively help the zones in question. Senator Tim Scott, the champion of this provision of the tax bill, discusses the program with Politico. Some critics of Opportunity Zones are pointing to the fact that Amazon's new Long Island City headquarters falls within one of these "distressed areas." In the near future, energy companies will likely begin offering free electricity in exchange for customers' data, which could make operations more efficient and enable better prediction of energy demand. Jeff Berman of Camber Creek Ventures discusses how autonomous vehicles will change cities like New York. VTS is launching a product that will allow landlords and tenants to negotiate leases online without the help of a broker. The product will utilize the massive data trove owned by VTS, which covers about 9 billion square feet of office space in the United States. PropTech startup Harbor launched the first tokenized REIT in the U.S. They are working with Convexity Properties to provide a traditional real estate investment using blockchain, giving them more liquidity and reducing barriers to secondary market transfers. Institutional investors make up 10% of homes purchased on sites like OfferPad and OpenDoor. These investors rely on iBuying startups to provide inventory of single family homes that investors then rent out. Retail is far from dead. These 5 retailers are investing billions in brick and mortar stores. On a related note, CB Insights highlighted 110+ startups bringing technology to physical retail. Amazon is targeting airports for expansion of their checkout-free Amazon Go stores. Airbnb is launching a new product called Backyard that will attempt to rethink how homes are built, incorporating smart home technology and modular building techniques into prototypes that can be purchased by anyone. Read a great profile of Prescient, valued at over $650 million. The technology-powered builder and software provider is able to draw up designs for modular buildings and transfer them to manufacturing robotics that weld components for structures up to 18 stories tall. How Skanska and PCL Construction scaled the adoption of drone technology in their companies. Building Ventures raised $53M to invest in real estate tech and other tech fields that relate to the built environment. Cove raised a $750k seed round for its home automation platform that uses data to reduce energy costs for home owners. Facilio, which uses IoT devices to optimize energy usage for buildings, raised $6.4M from Tiger Management and Accel. India-based proptech startup BuildSupply raised $3.5M from Venture Highway. The startup allows builders to automate workflows in the construction process.